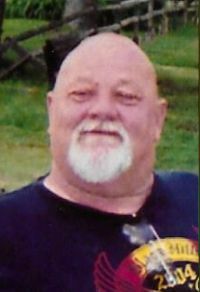 Harley E. Hepner, 70, of Kewanee, died Sunday, March 24, 2019, at his home. Cremation has been accorded and a memorial visitation will be held from 5 to 7 p.m. Wednesday, March 27th, at the Cambridge Chapel of Stackhouse-Moore Funeral & Cremation Services. A Celebration of Life gathering will be at the Kewanee American Legion Post 31, 1509 Railroad Ave., starting at 5:00 p.m. Friday, March 29th. Memorials may be made to the Harley Hepner Memorial Fund. Harley Earl Hepner was born July 2, 1948 in Kewanee, the son of Earl and Myrtle Hoyt Hepner. He was educate in Cambridge schools. He served in the U. S. Army during the Vietnam War. His marriage to Shirley Verscheure took place on March 26, 1971 in Cambridge. They later divorce. He worked as a truck driver for Nash Trucking in Kewanee and later for B. Carlson Trucking in Galesburg. Harley was a member of the Kewanee Veterans of Foreign Wars Post 8078 and the Kewanee American Legion Post 31. He never met a stranger, enjoy socializing with friends, and riding his Harley-Davidson motorcycle. He loved his two cats. Those surviving are his daughter and son-in-law, Tracy and Devin Wells, rural Cambridge, three grandchildren, Isabella (Dalton Thrasher) Frisk, Thornton, Iowa, and Sawyer and Temperance Wells. Other survivors include three nieces, Missy Keel, Tonya Henderson, and Sheila Jackson Huffines, and his good friend Jim "Cornbread" Ripka. His parents and two sister, Katherine and Cynthia, preceded him in death.